What are the distinctions between the universal and local church? How involved should Christians be with parachurch organizations? How are believers to function as part of the church? 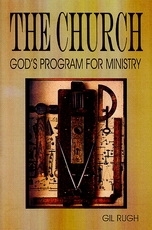 The Church: God’s Program for Ministry will take you to the Bible for the answers to these important questions.